Rs 6,000 per year is barely enough to cover the cost of production of farmers, let alone mounting expenses on healthcare, electricity and education. 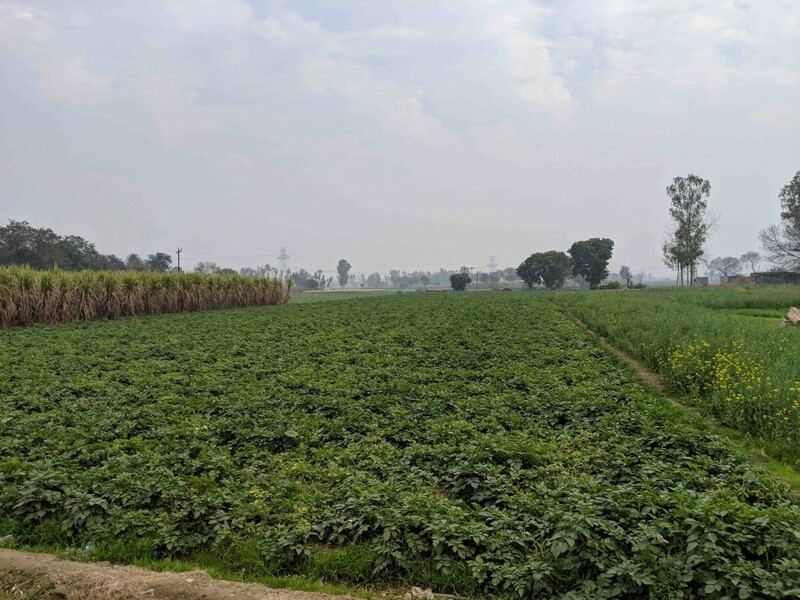 Meerut/Muzaffarnagar: Madan Pal Singh is a small farmer with five acres of land in Amarpur, a small village about 40 kilometres from the main town of Meerut in western Uttar Pradesh. He is unimpressed with the Narendra Modi-led Central government’s recent announcement that it will provide Rs 6,000 per year to small and marginal farmers. Singh, being a small farmer, is eligible to receive the assistance, but he says that the amount is inadequate. “What will I do with Rs 6,000 per year? I have to spend Rs 5,000 on seeds alone,” he said. Currently, the wholesale price of potatoes in Meerut is Rs 5 per kilogram. Singh points out that if transportation and warehousing costs are added, his total comes to Rs 8 per kilogram. “Last year, the government announced that it will take steps to ensure that potato growers get a fair price. However, one year has passed and nothing has happened. And now we have a new announcement. What happened to the previous announcement?” he asked. 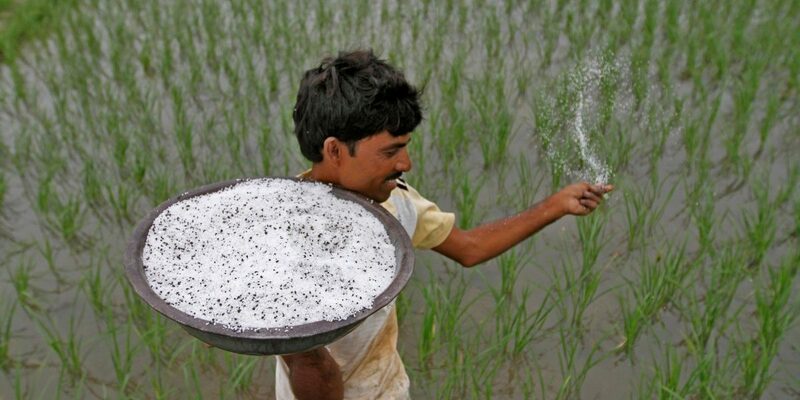 Also read: Will Modi’s New Farmer Income Scheme be the Band-Aid that Indian Agriculture Needs? What happened of ‘Operation Greens’? In the 2018 Budget speech, the then finance minister Arun Jaitley allocated Rs 500 crore for ‘Operation Greens’ to ensure that potato, onion and tomato farmers don’t suffer as a result of market volatilities. He said that ‘Operation Greens shall promote farmer producers organisations agri-logistics, processing facilities and professional management’. The government gave a ‘green signal’ to the ‘operation’ in November 2018, nine months after the announcement. Thereafter, little is known of its progress.“To use a pun, it is lying in the cold storage,” said an agriculture ministry official. Cold storages are crucial for tomatoes, onions and potatoes as these are perishable crops. Meanwhile, farmers growing these crops have continued to suffer the same fate as last year with prices hitting rock bottom. ‘Operation Greens’ found no mention in stand-in finance minister Piyush Goyal’s 2019 Budget speech. Singh would have preferred that it did. “The government should tell us what they have done about the announcements that they made last year,” he said. Deepak Kumar, also a potato farmer from Amarpur, disagrees with Singh. He feels that the government has moved in the right direction. “It is a good beginning. The amount that is given will increase over time. I am sure of that. But this is the kind of step we needed,” he said. Kishore noted that since the middle of last year, India has witnessed two consecutive quarters where the wholesale price index for primary food articles has shown negative annual growth. “The disinflation in farm prices has also led to a collapse in nominal farm incomes, which was last seen in 2000-01,” he wrote. While food prices have fallen, general inflation has been positive, resulting in the worsening of the terms of trade for farmers. Harish Damodaran pointed out in the India Express in December 2018, that for 27 consecutive months, consumer food inflation had been below general inflation. On February 5, a few days after the announcement of the income support scheme, in an op-ed for Business Standard, NITI Aayog member Ramesh Chand accepted that terms of trade for agriculture had indeed witnessed a decline. “Growth rate in farmers’ income in real terms remained much lower than the growth rate in their output,” he said. Social scientist and politician Yogendra Yadav argued that other than the deteriorating terms of trade over the last two years, farmers have suffered for a longer period as their household expenditure has increased. “Spending on health and education has gone up in a very big way. India’s share of household expenditure as total health expenditure is among the highest in the world,” he said. According to the Ministry of Health and Family Welfare, in 2004, the average expenditure per hospitalised case in rural India was Rs 6,225. In 2018, it increased to Rs 16,956 – a jump of 172%. The case of Deependra Sharma (53) and his wife Sangeeta Sharma (48) is instructive. They are eligible to receive assistance under the Central government’s newly-announced income support scheme for farmers. But they are unsure if it will benefit their family, which has a debt of Rs 6 lakh – Rs 4.5 lakh owed to relatives and local moneylenders, and Rs 1.5 lakh on his Kisan Credit Card. 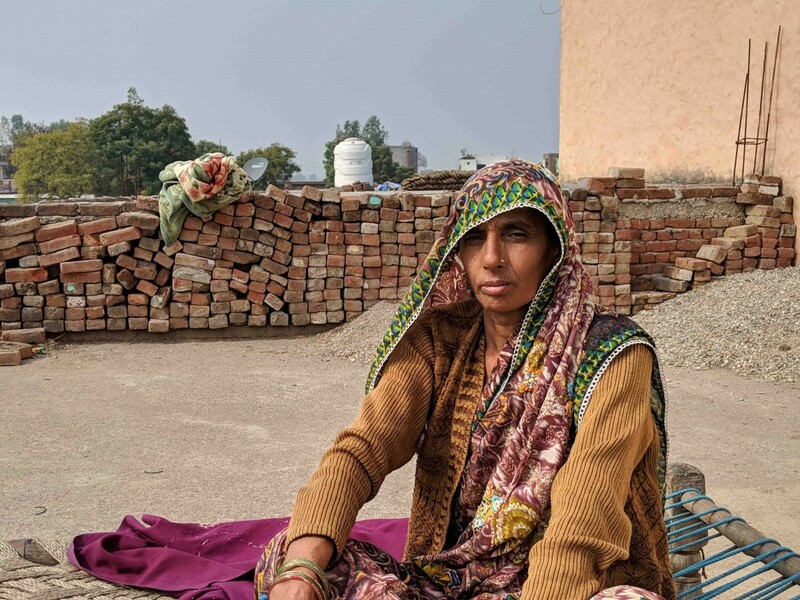 The borrowing from relatives and local moneylenders has accumulated over the last one-and-a-half year, since after Sangeeta was diagnosed with ovarian cancer. She received chemotherapy and was operated upon in the All India Institute of Medical Sciences (AIIMS) in Delhi. “But we had to wait six months for a bed to be available in AIIMS before I could be treated,” said Sangeeta. Her health is improving since her ovaries have been removed. “I still feel weak. But overall I am better.” For check-ups, she has to travel to AIIMS every two months from her home in Nanglamal, a distance of 90 kilometres. The family did not trust government healthcare in Meerut, about 30 kilometres away. “We did go to the Lala Lajpat Rai Medical College in Meerut. But in six days, they made us spend Rs 70,000 and they could not even figure out what was wrong with her,” said Deependra. On average, Deependra said, they were spending between Rs 6,000-8,000 per day on Sangeeta’s treatment for the first six months. In all, they have spent almost Rs 6 lakh – including the cost of the operation – till now. They continue to spend between Rs 1,500-2,000 on medicines every fortnight. “Now, tell me, would Rs 6,000 per year have helped me?” asked Deependra. Even though Sangeeta was treated at a government hospital, the out-of-pocket expenses were significant. The health ministry estimated in 2014 that in public facilities, about 60% of expenses in hospitalised cases were out-of-pocket. According to the ministry’s estimates, only 42% of hospitalised cases in rural India used government hospitals even though the average expenditure was less than a fourth of what the private facilities cost. In rural India, sudden health problems are a major cause of increased indebtedness. According to the National Bank for Agriculture and Rural Development’s 2015-16 All India Financial Inclusion Survey, 78% of agricultural households that faced sudden health problems, borrowed – either from friends or relatives or formal credit sources – to cope with the financial burden. Potentially, the Centre’s flagship health insurance scheme Ayushman Bharat Yojana would have eased some of the stress in the case of Sangeeta and Deependra as it provides cashless coverage up to Rs 5 lakh per annum to each family. However, with the quality of primary healthcare lacking in most parts of rural India, private facilities remain the preferred choice. According to 2014 estimates of the health ministry, the proportion of non-hospitalised cases using public facilities was 25%. In Muzaffarnagar’s Atali village, Umar Pal is a daily wage labourer. He earns Rs 400 a day. “I get work about five days a week,” he said. He and his wife Anita Pal have suffered recurrent skin ailments. Initially, they visited the primary health centre in Sardhana town, about 20 kilometres away. “But there was no doctor there on most occasions. Once we were lucky to find a doctor. He gave us medicine. But it did not help. 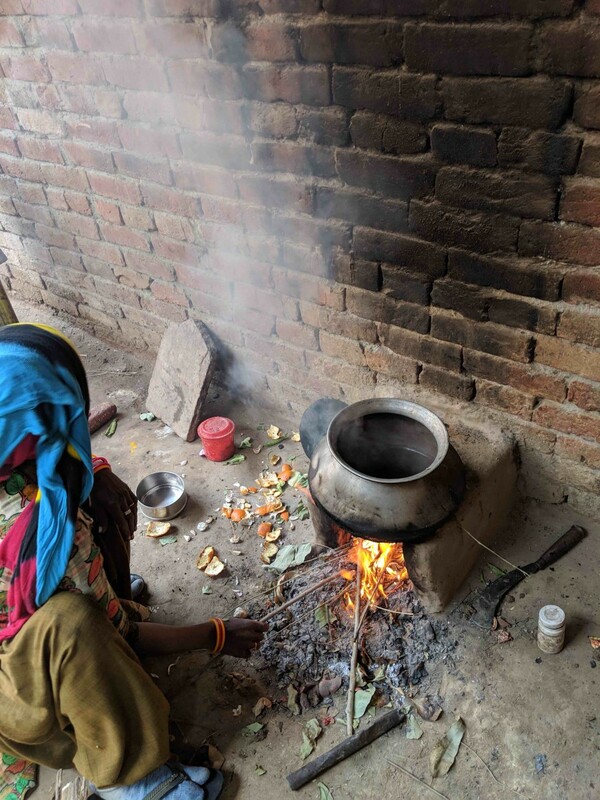 I think that in government clinics, they give the same medicine for all illnesses,” said Anita as she heated water using firewood. She is yet to receive an LPG cylinder under the Ujjwala Yojana despite having applied for it multiple times. The couple then travelled to Meerut to a private clinic. “The doctor gave us an ointment for Rs 400. We paid Rs 1,000 as fees and Rs 200 for travel,” she said. Now they have to buy the ointment every week. 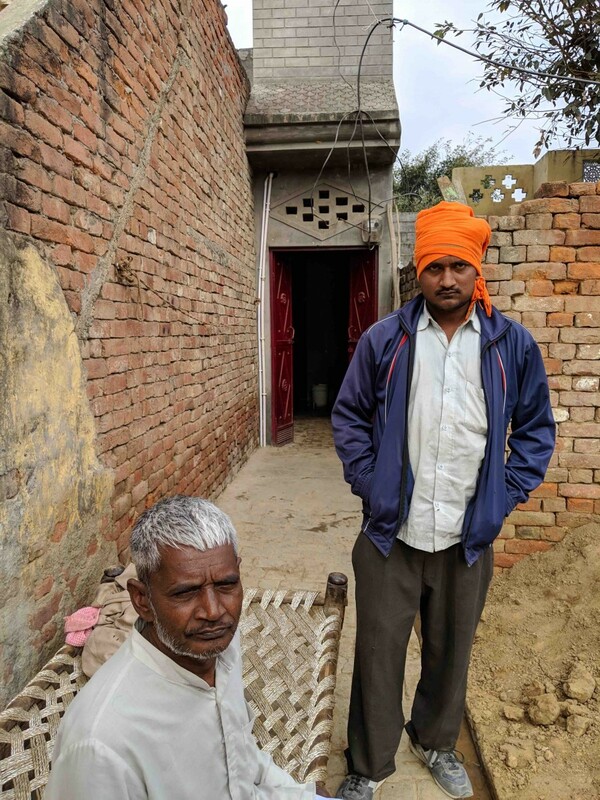 The couple are landless labourers and thus outside the ambit of Centre’ direct income support, which is only for those who own land up to 5 acres. “Don’t they need income support too? Perhaps they need it more,” said Kuldeep Tyagi of Bhartiya Kisan Andolan, an organisation that works with farmers and labourers in western UP. Khandawali is a village of about 2,000 on the outskirts of Meerut. Satpal is a resident there. He is 64, landless and from a ‘lower caste’. He earns Rs 300 a day engaged in masonry. “But now I am not able to work every day. I am not young anymore,” he said. His biggest grouse – among many – with the government is the increase in the cost of electricity. “The monthly bill is around Rs 600 now. Earlier, it used to be Rs 100,” he said. In 2017, the UP government increased the price of electricity by up to 150% for rural consumers. “It is difficult to survive now because I cannot even get a loan from the bank. The cost of everything has increased many times. We are not even getting our share of ration from the [PDS] shop,” Satpal said. About 500 metres from Satpal’s home lives Usha Devi (34). She too does not own land. She and her husband deal in milk. She milks around 30 cows and buffaloes in the village and her husband delivers the milk to customers in Meerut. They make about Rs 2 per litre after paying the owners of the bovines. “It is increasingly difficult to survive now because costs have increased.” She has a 12-year-old son and a 14-year-old daughter. Both of whom study in a private English-medium school in Meerut, 30 kilometres away. Their combined fees are Rs 3,000 per month. “We want to give them a good education which is not possible in a government school. They should be able to speak English so that they can get out of this misery in the village,” she said.